The mind-boggling photo of a single egg that beat out Kylie Jenner’s baby photo with millions of likes actually has a bigger purpose. 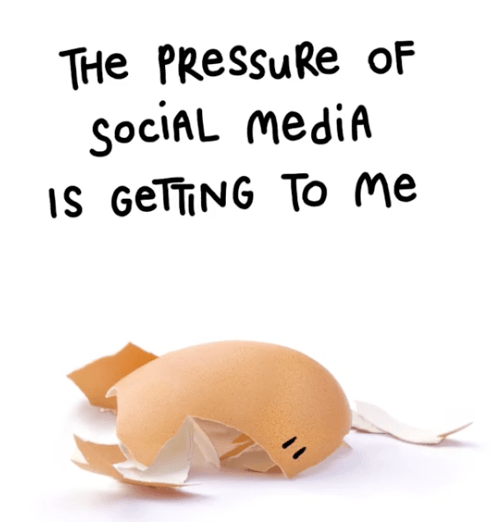 A video in partnership with Hulu has revealed that the egg was created to raise awareness for mental health, focusing on the negative psychological effects of social media. The video was released following the Super Bowl in the US, showing the egg ‘starting to crack’ under pressure. On Instagram over the last few days, the egg can be seen with some visible cracks on it. The video starts off with words as the egg started to move and crack. “Hi, I’m the world record egg,” it said, “Recently I’ve started to crack. The pressure of social media is getting to me.” Then it segued into a call to action “If you’re struggling too… Talk to someone.” The video also linked to a website that has mental health support hotlines all over the world. The campaign aims to build a list of all the contact numbers and support groups from all over the world. The post has since garnered praise, particularly from Mental Health America, for shedding light on an important issue and using social media to spread the message. The post has more than 13 million views and the account has since amassed a total of 10 million followers. One report by the Royal Society for Public Health in the UK surveyed 1500 young people, ages 14 to 24, to determine the effects of social media use on issues such as anxiety, depression, self-esteem, and body image. Their findings show that YouTube had the most positive impact, while Instagram, Facebook, Twitter, and SnapChat all had negative effects on mental health. If you or someone you know needs help, log on to https://www.talkingegg.info/ for useful mental health links.